Recently thanks to Boots and their amazing 3 for 2 offers I have been changing up my makeup and trying some new products (well new to me anyway). Since going nuts and buying a load of makeup (see here, for what I bought), I have been doing a few reviews to let y’all know what I think, and this is yet another one of those little gems. 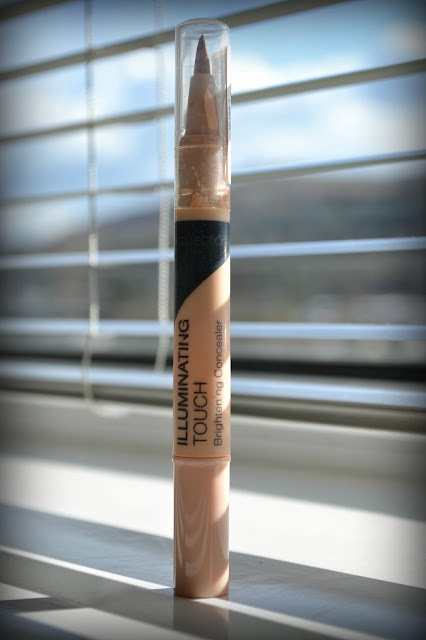 I had been hearing very good things about the Collection Illuminating Touch under eye concealer, and thought I should give it a go. I have always used normal concealer under my eyes, and always thought that was about as good as it was going to get... But I was wrong, because this stuff is flippin’ fantastic! The coverage is amazing! I now have no dark circles under my eyes, which considering the time I get up in the morning, is extraordinary! I now no longer look like a tired smack addict, which is always a plus side! 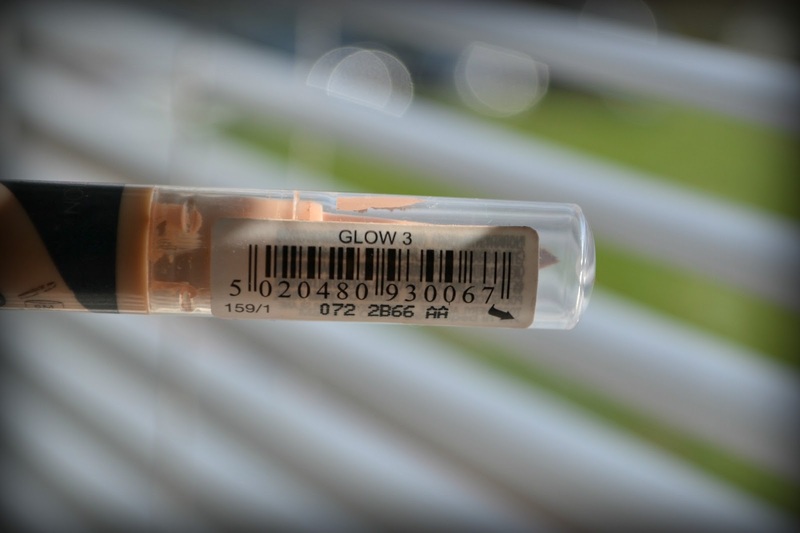 I chose, what is probably the darkest of the shades, number 3 Glow, which, when I took it outside into the sunlight, I realised was a lot more yellowy than my skin tone. However, this worked out very well as actually the colour covers perfectly and blends very well into my skin tone. Just a heads up for you there, just in case, like me, you have vampire pale skin, and were worried about choosing a darker shade. The applicator is a brush tip with a twist base. This is the only down side to the product as it takes a while for the product to work through into the brush, and sometimes you can twist it a little too much under the assumption that nothing is coming through and then have a big splodge of it sitting on the brush. 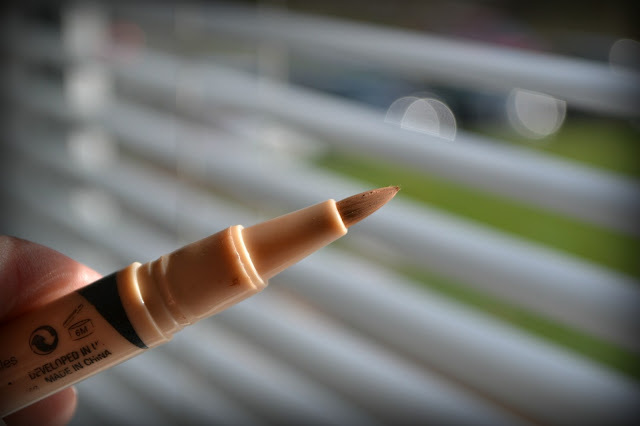 The key I have found is to twist the base two clicks, hold the product with the brush facing down and then give it a little time to come through, this is normally enough to cover both eyes. Overall, I love this stuff, and when it runs out I will most definitely be buying more. For the price I will also say that it is amazing value and will most certainly be trying their concealer next! So yup, I highly recommend it and I think it will become a firm favourite in my makeup bag! I need to try a cheap concealer for my horrible dark circles, thanks for the review, xoxo. I will also definitely be taking advantage of the Boots offers going round at the moment. Always a great opportunity to re-vamp your make up bag and expand your collection. Wow, this sounds fantastic! Glad you're loving it. Wish we had Collection here in Canada! i need a new concealer too! xO! This looks great! I'm going to keep an eye out and get it!